Despite her busy schedule, Liza Soberano sees to it that she makes time to spread love and generosity to others. For the actress, time is one of the greatest gifts she can provide to those who are in need. Last November 11, the actress took part in Milkita Fun Day at DreamPlay - City of Dreams Manila, where she spent a meaningful time with the children of Bantay Bata 163. “I’m very happy and I take it as a blessing as well, not just for me, but for me as well kasi parang sa mga ganitong pagkakataon we really realized kung gaano tayo ka-fortunate and it really makes you think na especially in my place na marami akong blessings na pwede talagang dapat i-share lalo na sa ganito. Wala naman akong nabibigay sa kanila kundi happiness na siguro na makita ako and time na makasama sila,” she said. The day was filled with fun activities and games for the kids. The event also had a Gingerbread baking class, which Liza happily participated in. A self-confessed kid at heart, Liza had the best time smiling and giggling with the children of Bantay Bata 163. 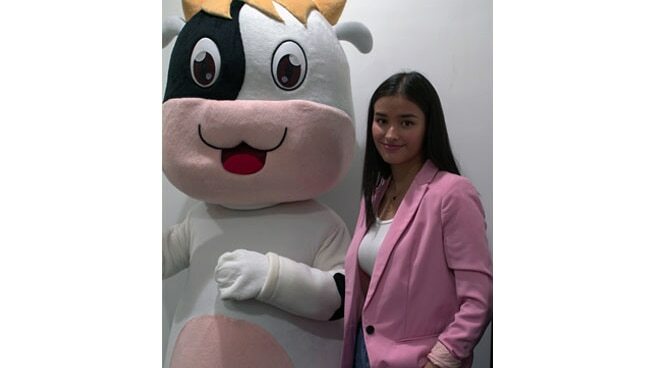 It is Liza’s first event with Milkita as its brand ambassador and being part of the Milkita family for a year now has been a worthwhile experience for the actress. “I must say Milkita is a really nice family to be with. They are very accommodating, they take care of me and ‘yun nga I’m really happy that they put this event because it’s unlike my other events na I do where I just perform or sing a song. Ito it has meaning to it and it has a purpose to it so that’s what makes me happy,” she stated. Liza and the kids of Bantay Bata 163 also enjoyed the Milkita candy buffet available at the event. Milkita is a deliciously chewy and lusciously creamy-tasting milk candy and lollipop that is made with real fresh milk. Milkita’s calcium-rich creamy milk candy and lollipops are the perfect bite-sized treat for families on the go. It comes in various delicious flavors - milk, strawberry, vanilla, melon and chocolate. 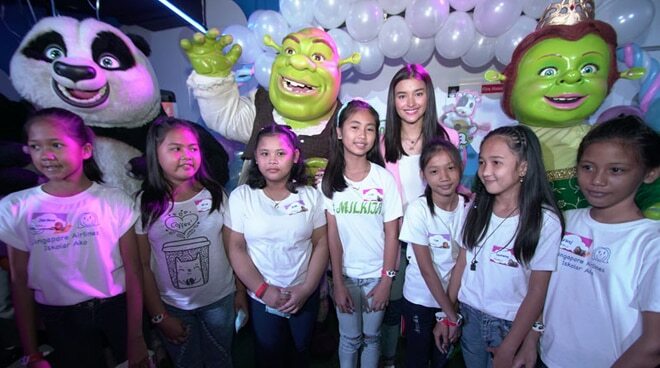 It was not only the joy of spending time with the kids that Liza was able to take home with her, but also the life lessons that she was able to ponder on during the event. “I realized na I’m really very lucky because my family is complete even na nasa ibang bansa ang mom ko and my siblings, at least we are all alive and we are all safe. We are fortunate because buhay pa kaming lahat because these kids are orphans and minsan we take for granted our family, parang life is so short, don’t miss an opportunity to say I love you to your parents or to your sibling or to all your loved ones and enjoy Christmas with your family,” she stated.